Lately, living walls have become a fashion statement in architectural design. Being a part of the building or freestanding, it is a sustainable innovation and looks great. So, what is living walls? Living Walls (aka Green Walls) are greenery-filled vertical gardens attached to the interior or exterior of buildings. Concerning the green facades (i.e. the ivy walls), living walls are different. Here, the plants are rooted in an elegant structural support that is easily fastened to the wall. All the essential nutrients and water that the plants receive are from within the vertical support instead of the ground. These are miraculous structures that help in displaying the significance of the nature in urban environments. As concrete jungles are expanding and pollution increasing, the development of living walls helps in reversing these trends of pollution and destruction of greenery. What Are The Benefits Of Living Walls? Since the industrial revolution, modern technology and advancement have led to increasing the air pollution. However, this can be stopped as many scientists and researchers have found ways to reverse the damage that human beings are causing. Urban streets are hot spots for dangerous pollutants like nitrogen dioxide, but the living walls reduce the level by 40% or 60%. Modern society is all about elegance, and there is nothing more beautiful than Mother Nature. 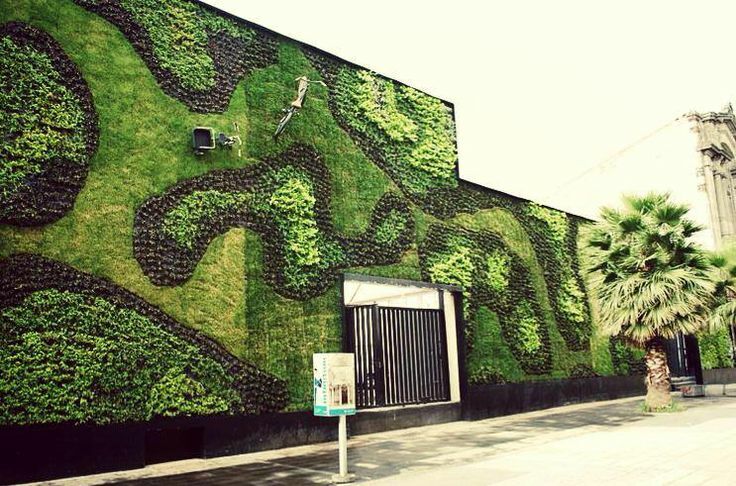 The appearance of a building can be improved by a flourishing and well designed green wall. It adds texture and color which never go out of fashion. Most of the buildings are often affected by the changes in temperature. This causes the materials to contract as well as expand. Over time, it leads to cracks, deterioration, fissures and other physical damages. Living walls protect buildings, not just from the fluctuations of temperature, but helps in diverting the water from the walls, when there is a heavy rain. Also, it protects the walls from harmful UV radiations. What is Heuchera Living Walls? If you are looking for colorful foliage then, Heuchera is a perfect choice. This is the best perennial to make your garden lively all around the growing season. It creates attractive basal mounds which are in the shape of heart. Along with that, the Heuchera has a triangular or rounded leaves that are quite wavy, ruffled and smooth. Even though the leaf coloration varies as per the method of cultivation, still it has hues of bronze-green, amber, gold, green, dark purple, and pink. Sometimes if you plant Heuchera when it's damp and in the absence of direct sunlight, it will get infected by fungus. Often, if your heuchera plant starts to have problems, the best solution is to move the plant to a sunnier or drier site. The larvae of dangerous pests like the black vine weevil will bore into the roots and core of the heuchera and other green wall plants. Such larvae are present in the early fall or late summer. The plants which are affected by the infestation of these pests will droop and wilt. So, it is important to check out for the larvae and get rid of them by hand or chemicals. To know about the various pests that can harm your plants, check out the infographic of http://nycitypestcontrol.com/diy-garden-pest-control-infographic/. 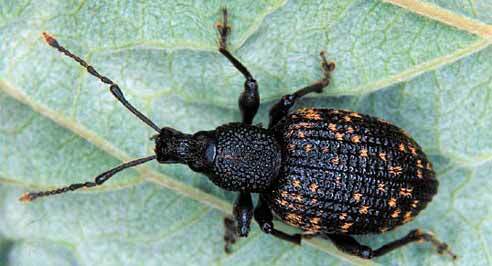 The vine weevil is a small root-eating pest that is capable of creating devastating damage to plants. This pest can change the color of your plant to yellow, wilt and kneel over after the last root is gnawed. If you have vine weevil in your garden, then take action immediately to safeguard your precious plant from this notorious pest. The presences of tiny and irregular notches on the outer layer of the leaves are the clearest sign of the vine weevil infestation. This damage might be more superficial rather than life threatening to the plants. You can secure your plants by spraying pesticides like Bio Provado Vine Weevil Killer 2. Mix it with water and you can use a watering can to protect the plant up to four to five months. If you are not interested in using chemicals, try the Nemasys Vine Weevil Killer. Here, microscopic creatures known as nematodes are used as they are the natural adversary of vine weevil. 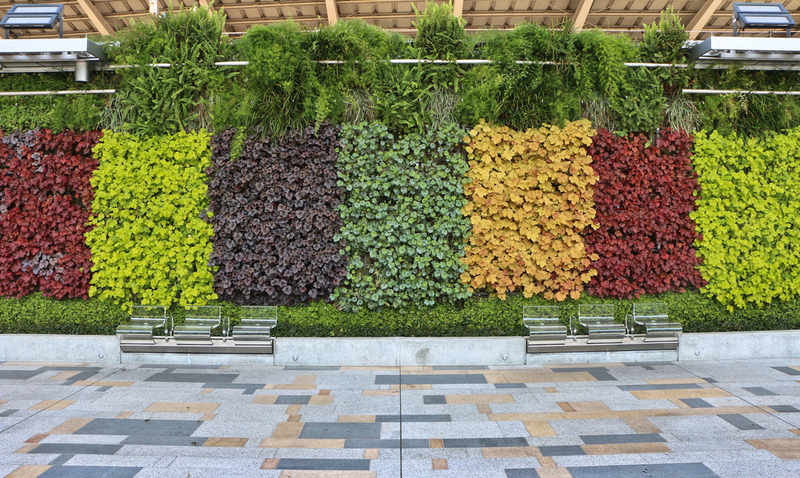 It is important to preserve living walls as they are one of the largest commercial projects. Also, they get a tremendous amount of attention in the public eye. So, if anything goes wrong, then it will get noticed, big time. Furthermore, the lifespan and the beauty of the living wall are based on the type of plant that you have chosen along with the best characteristics like growth, habit, and longevity.